If I had to name my two favorite wine regions in the world, it would be Piedmont and Champagne. Yes, of course I love Burgundy and its Pinot Noir wine; who doesn’t? But when it comes to red wine, the Nebbiolo grape variety has my heart. And clearly, Nebbiolo’s best expression in wines can be found in the Barolo and Barbaresco regions of Southeastern Piedmont, in a hilly area known as the Langhe. The major town in the Langhe is Alba. In fact, Alba sits right between the Barolo and Barbaresco regions; Barolo lies southwest of Alba, while Barbaresco is slightly northeast of the town. The regions are close enough to each other that a visitor can easily combine visits to both regions in one trip. 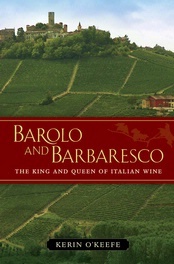 My love for these wines is the reason that I welcomed the opportunity to review a new book by Kerin O’Keefe: Barolo and Barbaresco, The King and Queen of Italian Wine, which will be published by the University of California Press on October 17th, 2014. It is one of the very few books written solely about Barolo and Barbaresco by an American wine writer. I first met Kerin O’Keefe at a wine conference in Tuscany about eight years ago. At that time, I was totally impressed with her knowledge of and passion for Italian wines--and my first impression grew stronger as I got to know her better. Kerin was born in Boston, but moved to Italy permanently in 1991, and married a Barolo-loving Italian. Thanks to her generous father-in-law’s wine cellar, Kerin and her husband had ample opportunities to drink great Barolos and Barbarescos from the late 1950s, ‘60s and ‘70s. In the early 1990s, Kerin and her husband Paolo began spending many weekends in Barolo--a two-hour drive from their home in Switzerland--two miles over the Italian border. 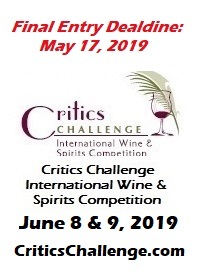 O’Keefe began writing about Italian wine full-time in 2002, writing some excellent articles in Decanter, a British wine magazine; she continued writing for Decanter until 2013. She also has written for The World of Fine Wine--the Rolls-Royce of all wine magazines. In April, 2013, Kerin accepted a new position as Wine Enthusiast magazine’s Italian Wine Editor. Barolo and Barbaresco is Kerin O’Keefe’s third wine book. Her first book, Franco Biondi Santi: The Gentleman of Brunello, was published in 2005. Kerin followed that with Brunello: Understanding and Appreciating One of Italy’s Greatest Wines, in 2012. Both books were critically acclaimed. O’Keefe’s Barolo and Barbaresco is written in three parts: Part One covers the history of both wines, and the origin of Nebbiolo. Part Two, the longest section, profiles 43 Barolo producers. Part Three covers 29 Barbaresco producers. In these two parts, producers are listed by the village in which their wineries are located. The Appendix is highlighted by a Vintage Guide to Barolo and Barbaresco, starting with1945, and going up to 2010--the current vintage of Barolo available as of 2014. O’Keefe employs a “star” rating--one to five stars--to rank the vintages. O’Keefe’s attention to detail in the history part of the book is meticulous; I have never read a history of the regions that was so thorough and well done. In a “geology” section, O’Keefe points out how soil formation in the Barolo region influences the style of the wines. For example, the soils in three major Barolo villages: Serralunga d’Alba, Castiglione Falletto, and Monforte d’Alba (and a small part of Barolo village) have Helvetian (a.k.a. Serravallian) soil, while most of Barolo village, La Morra, and Verduno have Tortonian soil. Generally speaking, the wineries with vineyards in the Helvetian-soil villages produce bigger, more powerful Barolos than those wineries with vineyards in the Tortonian-soil villages--which make relatively lighter-bodied, more elegant Barolos. Barolos from Serralunga d’Alba typically make the most powerful Barolos, while Barolos from La Morra usually produce the most elegant, aromatic, lighter-bodied Barolos. O’Keefe points out individual styles of each producer can vary, regardless of the village. O’Keefe describes the Langhe climate as “temperate continental” with hot summers and cold winters. The climate is temperate enough to grow grapes because the Apennine Mountains along the Italian Riviera in the south protect the Langhe from storms and cold air currents, while the warmer Mediterranean air from the east tempers the colder air coming down from the Alps in the north. O’Keefe’s chapter on the Nebbiolo grape is fascinating, as is the one on the origin of Barolo as a wine. Kerin reveals that Barolo was a sweet red wine in the early 1800s--because people were accustomed to drinking this style at that time. It was not until the mid-1800s, around 1851, that dry Barolo (then called “Barol,” or “Nebbiolo da Barolo”) became fashionable. Our wine-loving President, Thomas Jefferson, was an early fan of “Nebiule,” the name of the wine during his reign, and he served it at the White House. O’Keefe’s research offers proof that a French enologist named Oudart has been given too much credit for perfecting the dry Barolo style that we know today. O’Keefe’s research shows that an Italian general, Paolo Francesco Staglieno--who had written a manual on winemaking, was asked by Camillo Benso Cavour to be the enologist at his estate, Grinzane Cavour (outside of Alba). It was Staglieno who, in 1845, developed the first dry “Barolo,” probably called Nebbiolo da Barolo, at the Grinzane Cavour Estate. In 1881, the city of Alba founded an enological school (Scuola Enologica d’Alba) that until this day has trained most of Piedmont’s winemakers. The school’s first director was a 26 year-old graduate of Milan’s university, Domizio Cavazza, who was to establish Barbaresco as a separate wine 13 years later. Piedmont was ahead of its time in another important way, reports O’Keefe. In the 19th century, it was the custom throughout Italy for Italian male landowners to pass their land down to their eldest son. In Piedmont--a region more influenced by Napoleon’s democratic changes in the early 19th century--land was passed down to all offspring equally, male and female. Over the years, this constant division of land, including vineyards, has led to the creation of many small wineries in the Langhe--as opposed to Tuscany, where large estates are the rule. But the small farmers, many of them poor, did not prosper. As O’Keefe states, “The Langhe remained a backward and economically repressed area until well after the Second World War.” Actually, most Langhe farmers and winemakers remained poor until well into the 1970s. But the Langhe peasants held on to their one valuable commodity, their land. To this day, it is extremely difficult to buy vineyards in this region. It was not until the 1980s, with the Renaissance of Barolo and Barbaresco, that wine producers could start raising prices for their wines, and begin to prosper. Until the 1980s, for the most part there were two separate groups involved in wine production, winemakers and grape growers. When Barolo and Barbaresco suddenly became sought after worldwide, two things happened: many vineyard owners started to make their own wine, and most wineries, aware of the sudden problem of buying quality wine grapes--now in short supply--started buying vineyards. Today, most wine producers own the vineyards. O’Keefe points out that a few producers, such as Bartolo Mascarello and Cavallotto, had been grower-producers for their wines since the early part of the 20th century. Two other important changes took place in the period between 1961 and 2000. A few producers in the 1960s began making single-vineyard Barolos and Barbarescos: Beppe Colla, owner of Prunotto, and Alfredo Currado at Vietti both made single-vineyard Barolos (and Prunotto a single-vineyard Barbaresco as well) in 1961. In 1967 both Angelo Gaja and Bruno Giacosa introduced single-vineyard Barbarescos. Up until then, Barolo had always been a blend of Nebbiolo from different vineyards and different villages. As O’Keefe sees it, borrowing the “French concept of Grand Cru” was a key factor “in the Barolo and Barbaresco Renaissance.” Today, most Langhe producers make a blended Barolo and/or Barbaresco and one or more single-vineyard Barolos/Barbarescos. The other change, the so-called “Barolo Wars” that might have begun in 1978 when Angelo Gaja released the first Barbarescos partially aged in French barriques--according to Kerin “played a fundamental role in the genesis of the Italian wine revolution that soon engulfed the entire country”--especially in Tuscany. In Barolo, a young Italian winemaker, Elio Altare, together with Enrico Scavino (Paolo Scavino winery), Domenico Clerico, and a few others shunned the traditional method of ageing Nebbiolo in large Slavonian casks (“botti”) and started aging Barolo (and Barbaresco) wholly or partially in French barriques, as was the custom for many wines made in parts of France and California. Other changes introduced were crop thinning before harvest to reduce yields and make a darker-colored, fruitier wine; shorter fermentation periods (traditionally 25 to 30 days, now reduced to 7 or 8 days) to eliminate skin tannins; and the use of rotary fermenters to extract more color from the grapes. Coinciding with this move, Piedmont began experiencing a warmer climate, starting with the 1990 vintage. These new-style wines were more forward, ready to drink sooner, with rounder, softer tannins. They received higher ratings from many critics worldwide (but especially in the U.S.) who were more comfortable with a style of wine familiar to them--fruity and dark-colored, with toasty oak and vanilla aromas. In the 1990s, this new-style of Barolo and Barbaresco became fashionable, and was especially popular with the younger generation of winemakers, breaking away from their fathers’ style of winemaking. The new style became the predominant type of Barolo. Fortunately, a number of wineries kept making Barolo in the traditional method: Giacomo Conterno, Bartolo Mascarello, Giuseppe Mascarello, Giuseppe Rinaldi, Cappellano, Cavalotto, and Bruno Giacosa, to name a few--the true icons of traditional Barolos and Barbarescos. Kerin O’Keefe makes it clear in Barolo and Barbaresco that she favors the traditional style. So do I, and most of my colleagues who are long-time drinkers of these wines. In fact, the “new-style” Barolos and Barbarescos” went out of style, big time. The true aficionados of Barolo and Barbarescos rejected them completely--and vehemently. They wanted a Barolo or Barbaresco that had aromas of tar, earth, strawberries, coffee, truffles, etc., that was delicate and subtle--not a dark-colored, extracted, fruity wine that smelled of oak and vanilla. Almost all of the “new-style” winemakers changed, got rid of most of their expensive barriques, and adopted many of the traditional methods they once rejected. Some of these winemakers confessed that they just wanted to sell their wines and give the public a style they thought people wanted. The new style lingers on mainly in La Morra, but even there it is dying out. Parts Two and Three profile 72 producers: 43 Barolo producers and 29 Barbaresco producers--although quite a few producers make both Barolo and Barbaresco. Since Barbaresco produces only one-third as much wine as Barolo, it might seem that Kerin O’Keefe favors Barbaresco, as she profiles almost 3/4 as many Barbaresco producers as Barolo producers. But the answer lies in the fact that O’Keefe has found many new, up-and-coming Barbaresco producers that she likes, in many cases new discoveries. She relates that there are over 500 producers, and it is impossible to cover all of them. The ones she profiles are her favorites. Actually, Kerin O’Keefe’s Barolo and Barbaresco is unique for this very reason: Although it is thorough and traditionally organized for the most part, her selection of newer, less-known, up and coming producers adds a creative touch that you don’t find in most wine books. One problem with organizing producers according to the location of their winery in a specific village is that sometimes the producer uses vineyards in another location. For example, if you are looking for a description of Giacomo Conterno’s wines in the Serralunga d’Alba chapter, where Roberto Conterno has his vineyards, you won’t find it. The Giacomo Conterno winery is profiled in the Monforte d’Alba chapter, because that’s where the winery is located. Due to limitations of space, I am mentioning only top producers here, along with a few of O’Keefe’s favorites. Fortunately, Kerin likes all of the producers I also favor (traditional producers) and so I have few disagreements with her selections. Marchesi di Barolo: Must be listed, for historical reasons alone, and also because it is so huge; the winery produces seven different Barolos, and has by far the best cellar of old Barolos in the region. Bartolo Mascarello: Perhaps the most traditional producer; makes only one Barolo, from a blend of vineyards; the late Bartolo Macarello insisted it’s the best way, because he can use the best qualities of each area for a proper balance; textbook Barolo; elegant and balanced; velvety texture. Giuseppe Rinaldi: Cousin of Bartolo Mascarello; also very traditional; also believes in blended Barolos; powerful austere wines. Elvio Cogno: Co-founder of Marcarini Winery, now with his own winery; best wines: Barolo Ravera and Barolo Riserva ”Vigna Elena” (part of Ravera). Giuseppe Mascarello: Very traditional; makes one of Barolo’s greatest wines: Barolo Monprivato; also Barolo Villero. Serralunga d’Alba: 16.5 percent of Barolo’s wines; seven producers profiled; O’Keefe describes the wines as “the most complex and age-worthy Barolos; austere and powerfully structured; great complexity.” Both Giacomo Conterno and Bruno Giacosa own vineyards here. Renato Ratti: The late Renato Ratti “was a pioneer in the modern age of Barolo.” Ratti compiled the first modern map of Barolo crus. Ratti believed in fruitier, less tannic Barolos, shorter fermentation, and decreased barrel aging. His son, Pietro, “uses less new wood for ageing [than before],” reports O’Keefe. Best wines: Barolo Marcenasco; Barolo Le Rocche. Giacomo Conterno: Considered by many as the outstanding Barolo producer; sought after by Barolo lovers; one unfortunate result--now the most expensive Barolos. Very traditional; all Barolos come from vineyards in Serralunga’s Cascina Francia (and now also Ceretta) vineyards. The late Giovanni Conterno, one of the true, humble gentlemen in Barolo, always said, “I just make wine like my father (Giacomo),” and now his son Roberto says and does the same, relates O’Keefe. Two incredible Barolos: Cascina Francia and other-worldly Monfortino Riserva (aged for minimum of seven years). Aldo Conterno: Giovanni Conterno’s younger brother, Aldo began his own winery in 1969. Aldo died two years ago; winemaker is Aldo’s son Giacomo. Family owns great vineyards in Bussia hills of Monforte. Aldo “blended tradition with new techniques,” says O’Keefe. She calls their Barolos “polished versions of classic Barolos.” Mainly traditional. Best wine: Riserva Grand Bussia. Giacomo Fenocchio: An O’Keefe favorite; very traditional; best Barolos: Bussia; Villero; Cannubi. Burlotto: The star Verduno producer, and one of the oldest Barolo producers (founded in 1850). Ultra-traditional; only lately getting the recognition it deserves. Best wine: Barolo Vigneto Monvigliero. Alba and vicinity outside of Alba—Four wineries profiled. Prunotto: An O’Keefe favorite; for many years owned by the legendary Beppe Colla, but acquired by Antinori in 1989. Prunotto was at its best under Colla; quality slipped with more oak-driven wines under Antinori, reports O’Keefe, but she notices an improvement starting in 2005 with more terroir-driven Barolos. Also makes Barbaresco. Best wine: Barolo Bussia. Winery is located just to the south of Alba. Ceretto: One of the larger wineries, Ceretto’s main winery is south of Barolo, with another Barolo winery in Castiglione Falletto, and a Barbaresco winery in village of Barbaresco. O’Keefe states that earlier wines were “too oaked for my tastes,” but son Alessandro Ceretto is now cutting down on use of barriques. Best Wines: Barbaresco Bricco Asili; Barolo Bricco Roche; Barolo Prapò. Part III: Barbarescos, by Village: The Barbaresco region has always been in Barolo’s shadow, but has some world-renowned producers, such as Angelo Gaja and Bruno Giacosa (in Neive). Until 1894, when Domizio Cavazza formed the Cantina Sociale de Barbaresco, the wines from Barbaresco region were used in Barolo’s wines. Angelo Gaja: Gaja is the man who single-handedly put Barbaresco on the map, throughout the world. Innovative and controversial, his wines are both modern and yet elegant and well-made. When Gaja added 6 to 8 percent Barbera wine to his single-vineyard Barbarescos, he had to stop calling them “Barbarescos” (rules require them to be 100 percent Nebbiolo). Yes, his wines are expensive, but Gaja has made some excellent wines, and has done more to raise the image of Piedmontese wines than anyone else. Many traditional Langhe wine critics will disagree, but both Kerin O’Keefe and I give Gaja a thumbs-up. Best wines: Sori San Lorenzo; Sori Tildin. Produttori del Barbaresco: Often called the best co-operative winery in the world; a descendent of Barbaresco’s first Cantina Sociale. Run ably by the experienced, knowledgeable Aldo Vacca (who used to work for Gaja). The Produttori has 52 members who own some of the best vineyards in Barbaresco. Traditional Barbarescos; reasonably priced. Three other Barbaresco wineries that deserve a mention: Roagna, Cantina del Pino, and De Forville. Bruno Giacosa: Bruno Giacosa, who knows the Langhe vineyards better than anyone, and blessed with a superb nose for wine, has made some of the best Barbarescos and Barolos in the world. Now 85 years old (he suffered a crippling stroke in 2006), he now produces wine only from the estates that he owns, and his brilliant Barolo from Serralunga, Vigna Rionda, is no longer made, nor will the equally brilliant Barbaresco, Santo Stefano, be produced by Giacosa after the 2011 vintage. But Giacosa still makes his great Barolos, Falletto, and Le Rocche del Falletto, from his vineyards in Serralunga; and Barbarescos from his Asili and Rabaja vineyards. Giacosa’s wines are expensive, but they are among the most sought-after wines in the world. Giacosa is the master of traditional wines. His wine consultant, Dante Scaglione, is back with Giacosa after a temporary leave. 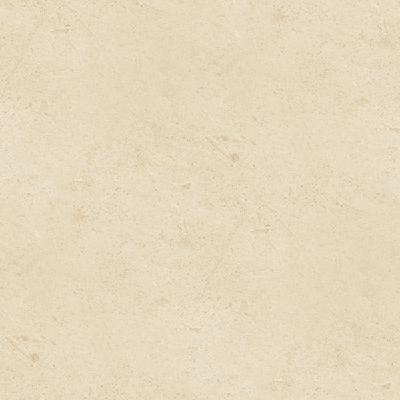 Worth a mention: Neive’s Castelo di Neive. Rizzi: Kerin O’Keefe calls Rizzi “one of the rising stars of the entire Barbaresco denomination.” Steadfast traditionalists. Worth a mention: Treiso’s Elvio Pertinace. San Rocco Seno d’Elvio: Formerly a hamlet of Treiso, San Rocco is now a part of Alba. Makes 6 percent of Barbaresco’s production. Two producers profiled. Poderi Colla: Founded by Beppe Colla’s younger brother Tino Colla, and Beppe’s daughter, Federica. Beppe, now 84, still consults. Poderi Colla produces almost equal amounts of Barbaresco and Barolo--in fact, a little more Barolo, but the winery is located in a Barbaresco area. The wines are traditionally made. 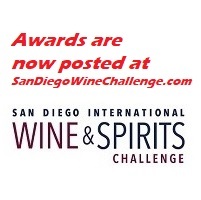 Best wines: Barbaresco Roncaglie and Barolo Bussia Dardi Le Rose. Kerin O’Keefe did not profile three wine producers who deserve recognition, in my opinion: Vietti in Barolo’s Castiglione Falletto; Roberto Voerzio in La Morra; and Marchesi di Gresy in Barbaresco. But it is an author’s prerogative to make his or her own choices. O’Keefe’s book is a tour de force, a magnificent, comprehensive tome that required loads of research. I am happy that she possessed the ability and passion to take on this herculean undertaking. I think that every Barolo and Barbaresco wine lover will benefit from reading her Barolo and Barbaresco.